The campaign to free the children being held in Australian prison camps on Nauru and their families is at a critical juncture. Intensive media reporting has highlighted the deplorable conditions on Nauru and the critical medical condition of the children and their families. Action by civil society groups appalled at the more than five years of detention suffered by people legally seeking asylum has made this issue an electoral liability for the Morrison government, which has had many opportunities to do the humanitarian thing and bring the children to Australia before now. support for schools/members wishing to participate in a “walk-off” on 20 November (Universal Children’s Day) should the children and their families being held on Nauru not be brought to Australia. There are a range of other petitions currently underway, and you may wish to add your name to any or all of them as well. MSF – Evacuate refugees and asylum seekers from Nauru. Initiated by World Vision Australia on the basis of a request from a teacher in New South Wales, this national day of action is designed to draw attention to the detrimental impact indefinite detention of children and their families on Nauru is having on the physical and mental health and wellbeing of these legitimate refugees and people seeking asylum. Being on Nauru makes kids “blue” – lack of mental health services, resignation syndrome and other mental health conditions, self-harm, and general poor living conditions and uncertainty over the future are having a negative impact on them and their families. Register your school/organisation/event at www.kidsoffnauru.com/blue to receive a pack from the organisers and to publicly declare your support for this campaign. Teachers across Australia are prepared to “walk-off” on Tuesday 20 November at 2.30pm if the children and their families have not been released from Nauru. The QTU will support schools where teachers vote to take action on 20 November. We ask QTU Representatives to consider holding a workplace meeting to discuss the following resolutions and actions. THAT QTU members at (school name) condemn the actions of the federal government in failing to transfer the children and their families being held on Nauru to Australia, resulting in ongoing and increasing physical and mental trauma. THAT QTU members at (school name) call on Prime Minister Morrison to evacuate the 119 children and their families detained on Nauru to Australia before Universal Children’s Day on November 20. THAT, should the Australian Government fail to get the #KidsOffNauru by November 20, QTU members at (school name) request that the QTU issue a directive that representatives of QTU members walk-off the job at 2.30pm on Tuesday 20 November in protest. If the third resolution is endorsed, QTU Representatives at the school should, in the first instance, discuss the school’s capacity to re-organise and release representative of the staff with the Principal. The aim is to enable teachers to attend rallies to support bringing refugee children and their families to Australia. On 20 November, Brisbane will host a rally for the Australian Council of Trade Unions’ national ‘Change the Rules’ campaign at 12 noon. The QTU is currently making arrangements for a subsequent rally to “Change the Rules for Refugees” at 4.00pm on King George Square. All unions and refugee action groups will be invited to attend the event to show their support for the call to get the #kidsoffNauru. Please click here to access all relevant documents on how to conduct a workplace meeting and information on how to return the ballot papers. The EB9 claim was endorsed by State Council on Saturday 3 November. The claim focuses on three key priorities: delivering a new classification structure and relevant remuneration for members in promotional positions, implementing processes to influence and reduce member workload, and addressing the gender pay equity divide. State Council also established a claim for a 4.5 per cent p.a. 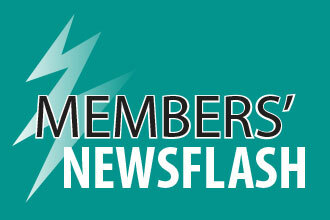 salary increase for members. It is important to note that this pay increase would apply to all positions but that additional salary outcomes are still expected arising from PPCR. A copy of the final endorsed claim will be available to members on the QTU website by Monday 12 November. With a federal election expected in early 2019, it is important that the momentum around Fair Funding Now! is maintained. Activities to support the campaign will be occurring on the weekend of 17 – 18 November. For information about these activities, please contact your Organiser. Don’t forget to have your say in the QTU/ACER workload survey. More than 4,000 members have started the survey but not yet completed it. Please return to the survey and answer as many questions as possible to ensure that the data is truly reflective of member workload. To allow for the maximum number of responses, the survey will remain open over the coming weekend and will be closed off on Monday 12 November.